Where are you from? Your profession? I was born in Savannah, Georgia, and I now live in Gainesville, Florida. I'm faculty in the Religion Department at the University of Florida, in the area of religion and nature. When and how did you become interested in paddling? I first became interested in paddling when I was a camp counselor in North Carolina, but I didn't really start until I was in Iowa. My friends were into whitewater paddling, and I got hooked. Today, I especially love coastal kayaking because it blends the thrill of whitewater with the fun of multi-day camping trips. Tell us about your kayak teaching experience. I helped the outdoor rec program at Iowa State University when I was on the faculty there, and then I taught at Nantahala Outdoor Center (NOC) during my first (I hope of many) midlife crises. 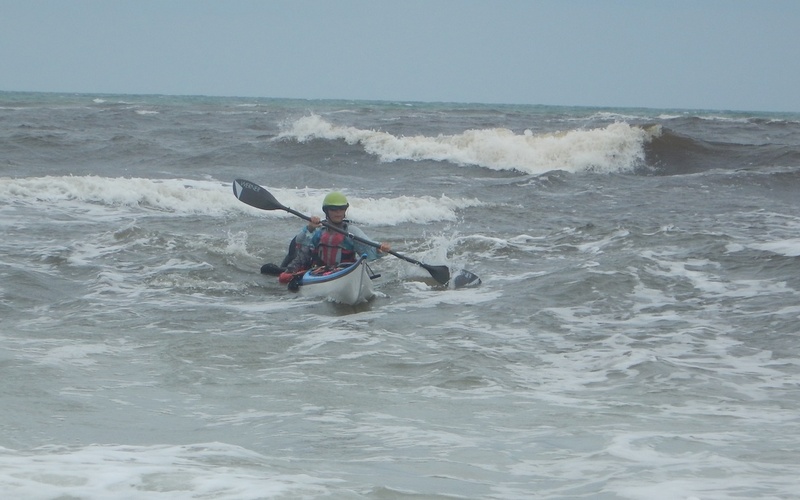 I loved teaching there, but when I moved to Florida, I switched to coastal and sea kayaking. My husband Kevin and I have been training under both ACA and BCU systems for kayak instruction, rescue, and leadership. It's fun to watch people gain confidence on lumpy water. Kayaks or SUPs…what’s your favorite and why? Tough question because they offer different things. I love the view from my paddleboard, especially on the springs. Great views of the manatees. I recently bought a SUP just for surf, and I'm having a blast in the waves. Surfing and paddling in my kayak is also wonderful, and Kevin and I have camped out of our boats in the Keys, the Bahamas, and Chile. The kayak offers more possibilities for expeditions, although I'm hoping to do a self-supported camping trip on the SUP this winter. Where is your favorite place to paddle? Another tough question, but I'd have to say Tybee Island near Savannah, Georgia. We can surf in the Triangle, then go up the back river and see dolphins and rays. There's great camping on Little Tybee as well. What’s the most interesting thing that ever happened to you on a paddling trip? A much easier question ... Kevin and I got engaged on Christmas Eve when we were paddling off the coast of Chile. We were in a remote area and had been picking mussels for our dinner. I can't imagine a more romantic time or place. What keeps you coming back? Of course, I enjoy the paddling and the beautiful places, but I really love meeting other paddlers. It's always fun to hear about other peoples' lives and their paddling stories. I have great memories of sitting around the campfire at night, just shooting the breeze. Can you describe a particular Paddle Florida trip highlight? One year the Seven Mile Bridge crossing in the Keys had some waves, and some paddlers weren't confident of their skills. I spoke to them about technique. As they did the crossing, I watched them transform from tentative to confident paddlers, even surfing the small waves. That made the teacher in me very happy. Many of the Paddle Florida paddlers are highly skilled, so these trips are a good time to test your limits and try new things. What advice do you have for folks considering a Paddle Florida trip? Just do it. It's a great way to paddle in different parts of Florida and to meet other paddlers.